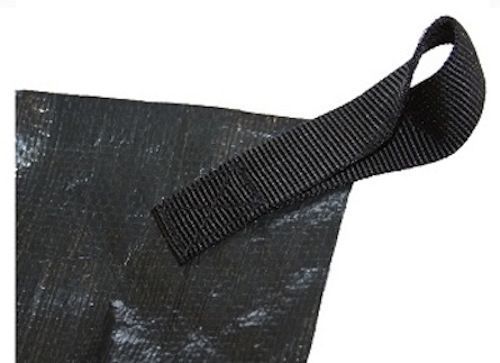 Great for Kodiak tent owners who are camping on unusually rough surfaces. 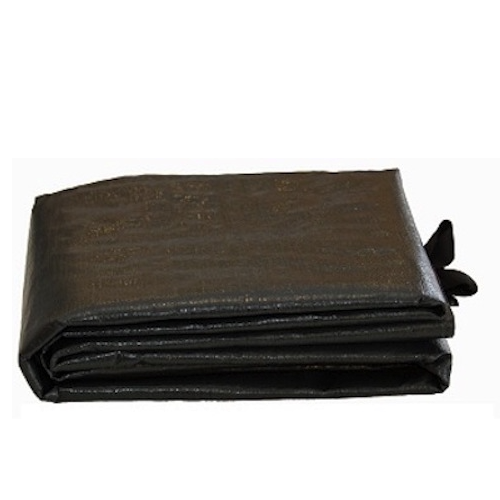 No need to worry about sharp rocks, twigs, or other objects that could puncture any tent when using this ground tarp. 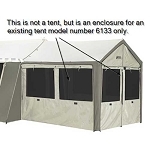 Designed for the Kodiak canvas tent model 6098. Folds up quickly and made to last years of rugged wear and tear. Provides additional layer of protection. Makes cleaning bottom of tent floor unnecessary. Keeps bottom of floor dry. Perfect for 9x8 Kodiak tents. 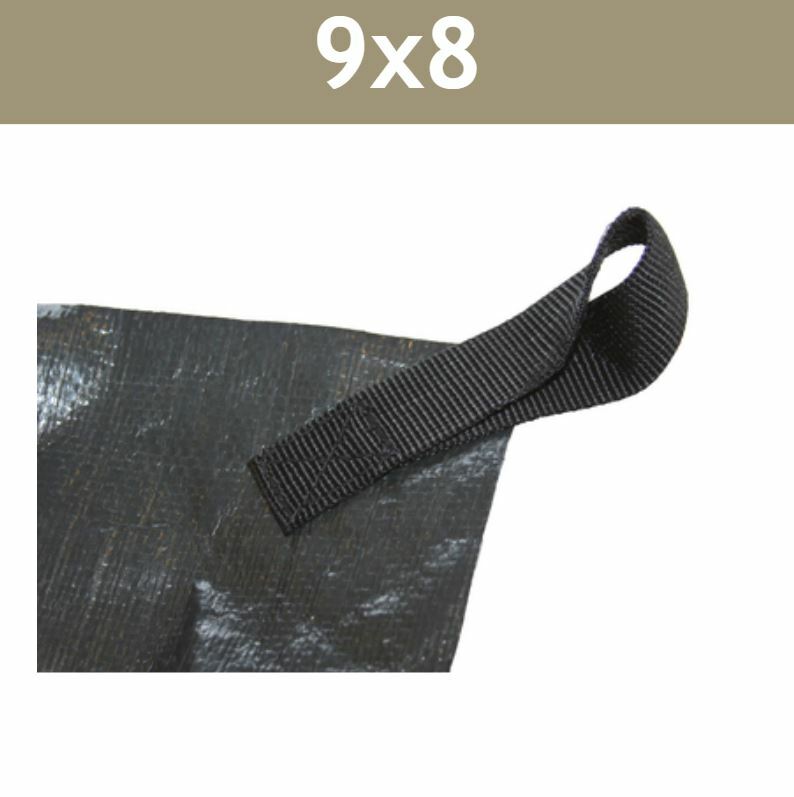 Made of heavy 10 mil polyethylene with reinforced mesh. Stake loops match corners of 9x8 tent to hold in perfect place. Ships FedEx ground - left at door step if nobody is home. Makes tent take down a quick breeze. Call our customer service for discounts when ordering with a Kodiak canvas tent. Competitive Edge Products, Inc. is an authorized distributor of the 0598 Kodiak ground accessory. Nice ground tarp! Thick, and fits my 9 x 8 tent perfectly. Perfect size, durable, staking points are in correct place and is what is required for puncture proofing your tent floor. It's a tarp. I do like that it seems like it'll hold up better/longer than a tarp from the store. I DO like the loops! And it's cut to the size of the tent. Perhaps it should be slightly smaller than the tent floor?,, as I had rainwater between my tarp and tent. Perhaps I just need to shift my tent uphill on the backside, slightly over the tarp. Overall a nice tarp. I'm giving it a '4', just to leave room for improvement, if there could be any? Was rather disappointed in the quality of the tarp, it was thin and cheap. I was expecting it to be up to the high standards that my Kodiak Canvas Tent floor is made of. The only saving grace were the loops on the tarp that secure to the tent and keep it from moving around. While it beats having to fold a regular tarp and making it conform to 8x9 I was expecting more. That said I got the tarp pretty fast and at a much cheaper price than other online retailers. Q: Can this be used for slightly smaller tents? A: There is no reason why it would not work-you simply need to fold in the tarp so that it fits the footprint of your tent. If it rains you might run into problems with water coming in between your tent and the tarp and creating a mess. 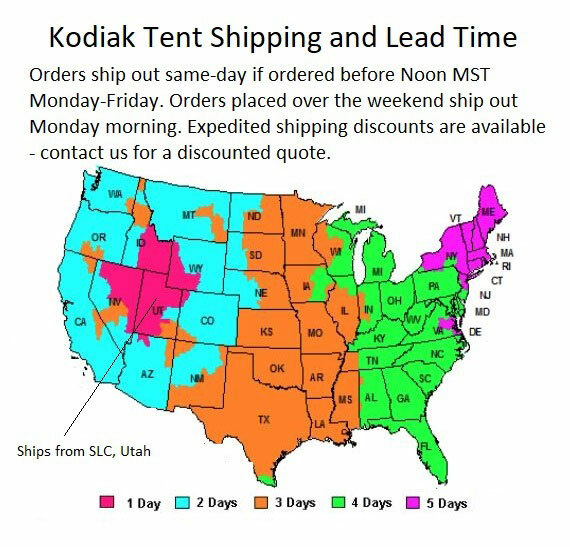 Fast Shipping: Orders for the Kodiak Canvas Tents and accessories generally leave the warehouse the same business day if ordered in the A.M. These ship Fedex Ground, and delivery times vary by location. Delivery typically takes 1-5 days, call for more exact estimates. Faster shipping is available. Delivery Details: This product ships directly from the warehouse in SLC, Utah. This item ships via FedEx and may not require a signature. Signing for the Package: We recommend requiring a signature for Kodiak tents shipments. Requiring a signature does not cost you anything extra and is a great way to ensure that you are home to receive the tent. It prevents theft and other delivery address issues. We do recommend that you require a signature. By default no signature is required. If you are interested in requiring the signature this is how it is done. During checkout you will see a link in the bottom left hand corner called Comments. Click on that and type in Please require signature. Thats it. Alternatively, please feel free to contact us immediately after placing the order and we can manually require a signature upon delivery. International Shipping: We ship to Alaska, Hawaii, Canada, Australia, and other international locations. *Please note that international shipments do not include duties, taxes, and fees during checkout. You will incur a separate bill from Fedex, the carrier, or broker to collect those fees. If you have any questions about that process please let us know prior to ordering. Dimensions: 12" x 12" x 5"